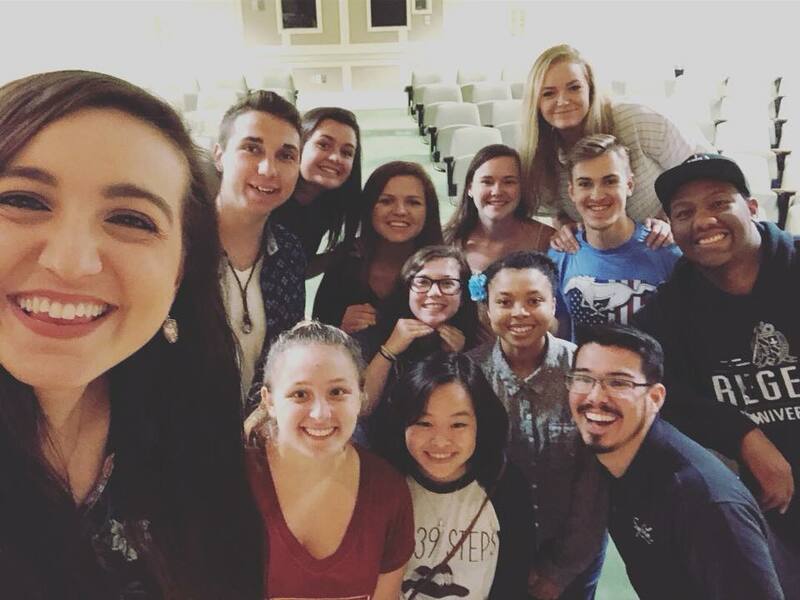 Regent University’s a cappella group, First Edition, is beginning to plan for next semester, but they are also reflecting on the memories and friendships that they have made during this school year. First Edition has performed at a variety of places this year. The 11 member group has performed at campus events such as the Harvest Fest, Chili Bowl, and Regent’s annual Christmas Concert. They have also shared their vocal talents with the community by singing at Our Lady of Perpetual Help Nursing Home, Grace Bible Church, and the red carpet premier of the film The Quiet Healing. First Edition’s next event is a concert that has been planned in partnership with the Regent chapter of the International Justice Mission (IJM). The event is being planned as a way to draw attention to the work that IJM is doing to combat the mass injustice of human trafficking around the world. Come out next Monday, April 15, in the Library Auditorium at 7 p.m. to hear First Edition and learn more about IJM! Several group members are nearing the end of their time at Regent. First Edition President Julia Lauto and Music Director Shania Burch are both graduating this May. Both are looking forward to finishing school but are going to miss being a part of First Edition. “We like to say that first edition is family,” said Lauto. Sophomore Bj Hardy is completing his second year as a member of First Edition, and for him, the group has been a constant source of friendship and support. “First Edition has become my home away from home,” said Hardy. While losing several members will make next year different for First Edition, returning members are looking forward to continuing to sing together. They are excited to recruit new dedicated, talented singers to join their team. Interested students are encouraged to audition at the beginning of the fall semester. Like them on Facebook for the latest information regarding their auditions and future performances! November 4, 2018 Julie Taylor Comments Off on R U Informed?